Become your own boss with the help of our team of experts and bread lovers. Franchising a COBS Bread bakery is a chance to make an impact in your community, live the lifestyle of your dreams, and make people’s days brighter! We’ve built a successful, trusted brand on fresh, from-scratch baking and genuine customer service. Come start something good with a COBS Bread franchise. COBS Bread started in 1980 in Australia as a family run business called Bakers Delight. There are now over 600 Bakers Delight locations in Australia and New Zealand. COBS Bread has capitalized on this success with over 100 bakeries in Canada and is on track to establish 200 bakeries in Canada by 2022. Our franchisees use the strength of a nationally recognized brand to grow their businesses and give back to the community. We’ve proudly donated over $250 million in unsold products to local charities since 2003. No baking or business experience needed! We’ll teach you everything you need to know. 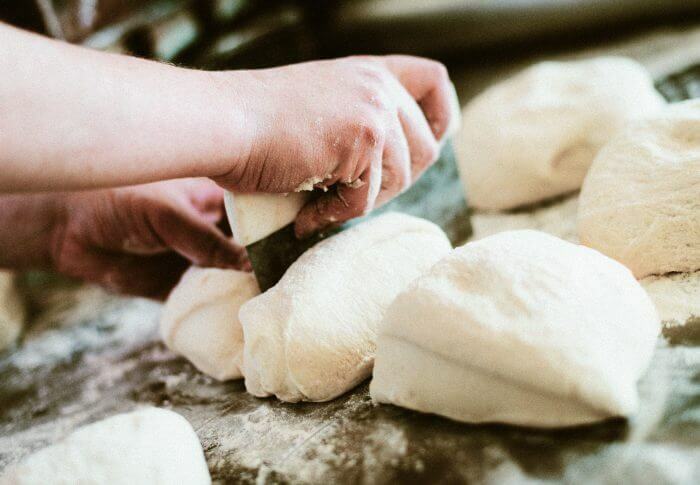 You’ll get hands-on training during our 16-week program, which is designed to get you up to speed on everything you need to operate your bakery. You’ll learn business planning, operations, HR, marketing, maintenance, financial management, customer service and more. A franchise opportunity is perfect for entrepreneurial people who love systems and support but want to minimize risk. As a COBS Bread franchisee, we’re here to help you with site selection and lease negotiations, construction, training, marketing, operations and more. An Area Manager will provide continuous support from opening day and beyond. By helping you set goals, troubleshooting, tracking financial performance and connecting you to the broader franchise network, you’re never alone. At this rate, it’s no surprise we’ve been a Franchisee’s Choice Award Winner for eight consecutive years! Whether you’re looking at investing in a new franchise or a business for sale, know that everyone finds their own way to finance their business. We use our long-term relationships with top financial institutions– as well as the experience of over 100 franchisees– to help you get enough capital to build your dream. The success of our system depends on franchise profitability. It starts with a four month training program before you open your bakery, followed by a one year Franchisee Assessment program that supports you as you grow your business. You’ll have full access to network-wide financial results and benchmarks that encourage you to aim high and achieve higher. We’re focused on building a strong, healthy, vibrant brand. You’ll get the benefits of a national marketing fund focused on driving traffic to your bakery, plus a local fund to support your community initiatives. The customer is the lifeblood of our business, and we deliver personalized service that’s unmatched in the industry. We provide a 16-week onboarding program and offer baker and sales certification programs so you can exceed expectations in every interaction.